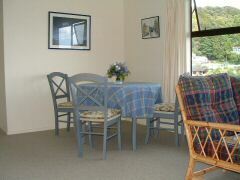 Ti Beach Apartment is a modern, fully self-contained, two-bedroom apartment that sleeps four people. 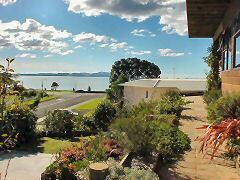 It suits those looking for a longer stay in the Bay and is situated in central Paihia, within 100 metres of a large, popular swimming beach. 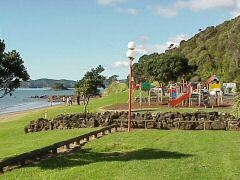 For golfers, it is a 2 minute drive to the picturesque Waitangi Golf Course. The location is ideal as a base for exploring the North. 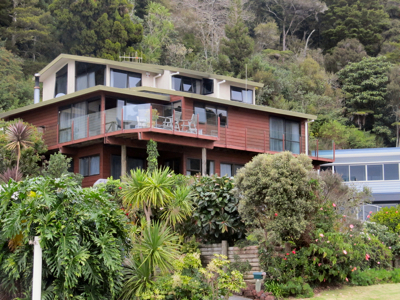 Flights from Auckland every day to Whangarei or Kerikeri, with a short coach trip to Paihia – or, if you wish to drive yourself – a scenic 3-hour trip. 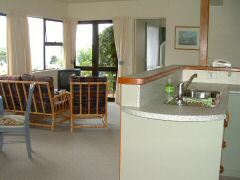 Ti Beach Apartment has as fully equipped kitchen, laundry, a sunny living area and an outdoor patio. At the end of the day, relax on the patio and watch the evening sun set across the bay.